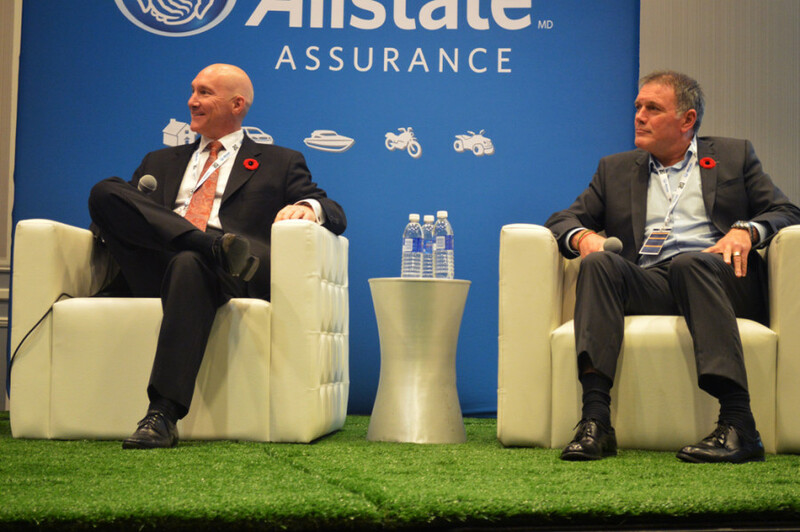 Executives of Major League Soccer know their place in the North American sporting landscape. 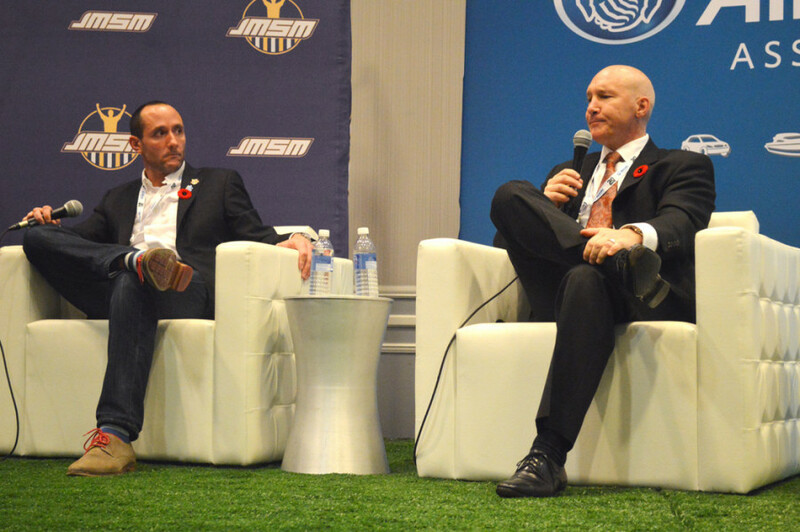 Last Thursday, the John Molson Sports Marketing conference not only celebrated the 20th anniversary of the annual event, but also held their first ever soccer panel, “Growing the Beautiful Game.” The panel held three representatives from MLS including Manning alongside New York Red Bulls general manager Marc de Grandpre, and Vancouver Whitecaps President Bob Lenarduzzi. RDS analyst and former Montreal Impact player Patrick Leduc moderated the panel. Soccer on North American soil once drew large crowds with the North American Soccer League, founded in 1968. It hosted international superstars such as Pele and Franz Beckenbauer, but also Canadians like Lenarduzzi. Teams such as the New York Cosmos, according to Lenarduzzi, drew approximately 77,000 fans a game, while his own club—the Whitecaps—played in front of 32,000 fans. “The commissioner at the time said that soccer was going to be the sport of the ‘80s. NFL, NBA, watch out, here comes soccer. Well… years later soccer was gone,” Lenarduzzi said. The arrival of David Beckham helped put soccer back on the map. With MLS comfortably established as a high profile professional league in North America, Beckham’s introduction into the league only boosted it to new heights. According to Lenarduzzi, Beckham single-handedly took the league from status quo, to what American and Canadian soccer fans have not seen since the 1970s. He compared Beckham to Thierry Henry, another European soccer icon, who also made the transition to Major League Soccer. Before Beckham spawned the expansion of interest, money was sparse within MLS. During his time with the now defunct Tampa Bay Mutiny franchise, Manning only had a budget of $3 million, which pales in comparisons to the present, where teams generate revenues of $30 to $40 million annually. The Mutiny’s highest paid player was given $300,000 a year, while the lowest only received $24,000. “My little Tampa Bay Mutiny staff, with 30 people including coaches and now just the soccer side of TFC has 50 employees. On the business side I have over 100 employees,” Manning said. Toronto FC has come a long way, with its two-time executive of the year, revealing the club’s value is rising, from $10 million to $195 million over the past decade. At the moment, Major League Soccer is one of the few leagues that does not include promotion and relegation. The clubs who finish at the bottom of the league do not drop to the lower divisions of the North American soccer pyramid. Although many have advocated for a change, Lenarduzzi believes that the current situation is perfect the way it is. “I’m not sure that promotion and relegation generates that much of a difference for the consumer in North America,” said Lenarduzzi. “The example that I use is the NASL and United Soccer League teams when they get promoted, they wouldn’t be able to afford playing in MLS. 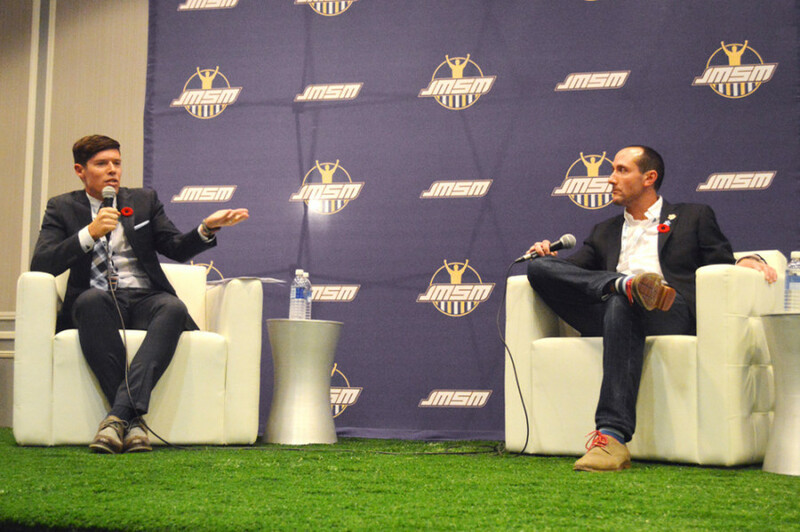 Without having promotion and relegation, Manning and Lenarduzzi brought up the concept of using their affiliates playing in the USL, North American soccer’s third tier, to bring up young players. Lenarduzzi is confident, at some point in the future, a homegrown product from one of their academies could be sold to one of Europe’s elite clubs through this system. For exclusive interviews with Bill Manning, Bob Lenarduzzi and Patrick Leduc of RDS, tune in to Episode 37 of the Pressbox Hat Trick Podcast here and Soundcloud.